I’ve said before I feel sheepish about posting recipes of schtuff I make because I feel like it’s stealing, but I guess it’s not if I’m giving credit. hmm…. either way I cannot allow my readers to go on with their lives without sipping this cocktail. 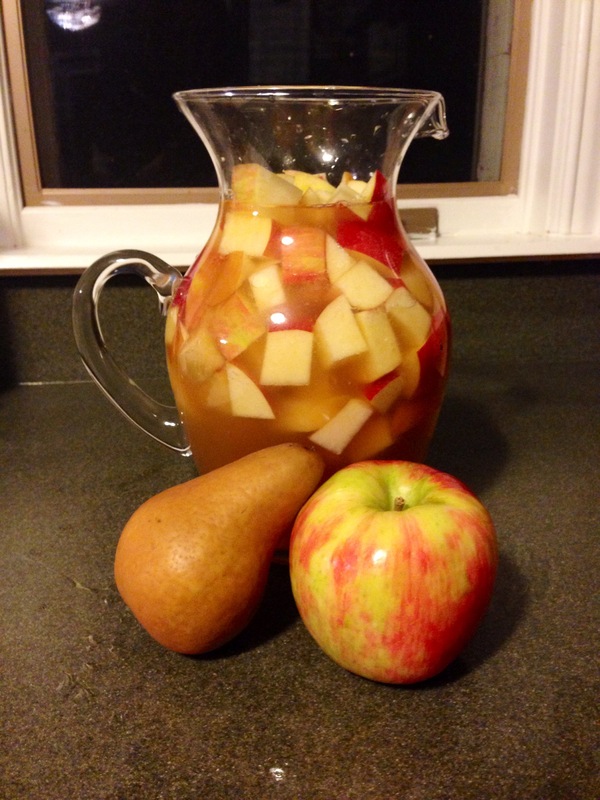 Combine all the ingredients, pop her in the fridge for an hour, serve over ice (in a wine glass to keep it classy). Happy Halloween! Let’s Talk Haunted Houses. Ohhhhh I didn’t forget!!!! It’s Halloween!!!!! I posted a creepy/awesome Halloween Party Room a few weeks ago and I thought why not do a Guest/Holiday rendition of GET THE PRETTY!!! For corny theme purposes we’ll call it “Get the Spooky”. And now, with no further ado I introduce (for the third time)…… RHIANNON!!!!! Hello again! So I’ve gotten a lot of positive comments on my dissection of the Haunted House on rhiannon’s INTERIORS. So for Halloween I’m sharing this with all of you ‘Surrounded By Pretty’ fans out there. 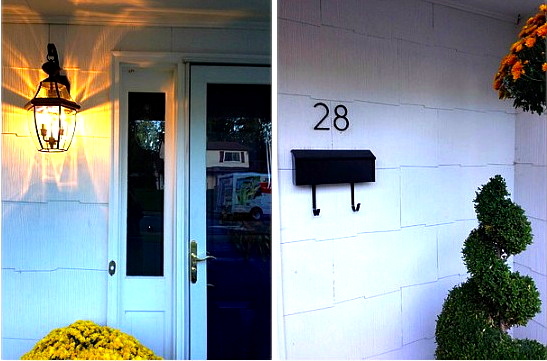 Besides from possible ghosts or disturbing pasts, homes can be pretty scary. There are certain characteristics that many old houses have which cause them to look so frightening. At some point, the Victorian home became the common architectural style for the haunted house. Movies and television have made this style of home terrifying. I mean is this house screaming “DO NOT ENTER!” or what? Okay, so lets break it down. What is it that we usually find in haunted houses that is so freakin scary? We all know that everything is scarier when its dark. I still have a hard time walking through my house at night unless I have my phone shining my path and warning possible intruders that I’m coming. So it makes sense that these homes are always so dark and scary. Seeing that bold wall paper on the walls is usually disconcerting because we know that it’s so very old. Old just means there is a history, and maybe even a dark history. It was actually chosen so long ago that it is usually peeling off of the walls. It’s always some crazy pattern, which again, means only a crazy person is responsible for choosing it. It’s not just any fireplace, it’s always some incredibly large fireplace with a mantle that is taller than any regular human being. This is made all the better when it is paired with the over sized fireplace. There always seems to be a much too large portrait of some creepy looking man or woman. Whether it’s a portrait or a mirror, it always has a highly ornate frame to accentuate its contents. This is some of my favorite elements of the haunted house decor. There is a large variety of materials in the usual spook house. However the massive amount of wood on the walls, floors, ceiling, and furniture, is ridiculous. Again, it reinforces its history, and reminds you that it’s been around for a while. This usually increases the scare factor. It almost doesn’t even matter what the chandelier looks like. As long as it helps to create some amazing shadows on the walls and ceiling. Aw yes the staircase. This is where the house gives the most suspense. It is nerve wracking watching someone walk down a long staircase, waiting for the boogie man to jump out at them. Throw in some creeks in the old wooden floor boards and you’ve got the perfect combination of scary stuff. One of my favorites is ‘The Shining’. The hallways scene is always scary. Similar to the stairs, the ridiculously long hallways seem never ending in these old homes. Check out The Old Haunted House, for examples of homes that are spooky, and have appeared in some great scary films. Apologies, Monday’s post was a sort of epiphany. 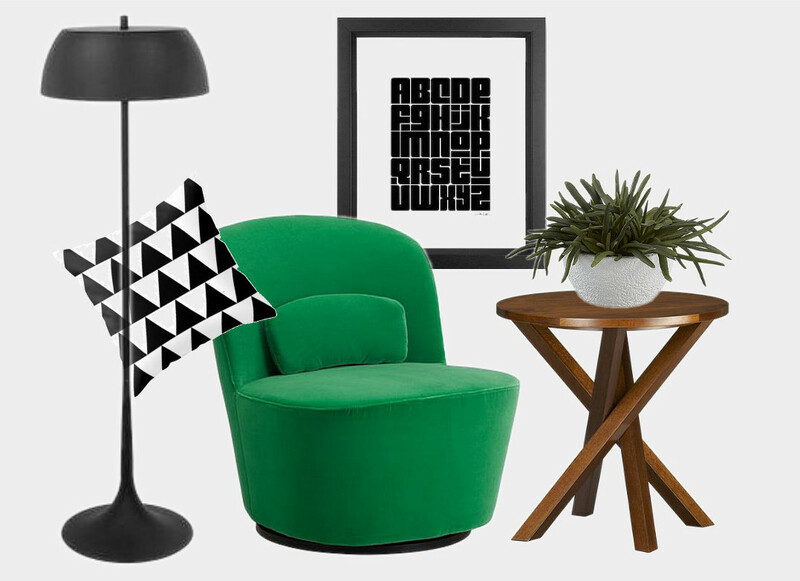 I was putting together a haphazard post that blabbed about how much I loved black, white, and green. But here’s the thing, I’ve written more papers than you could even imagine. I have to research, support, summarize, and put in my own two cents and not fall asleep while doing it. It’s lame to the tenth power. On that note, who the h-e-double hockey sticks do I think I am blabbing without supporting. 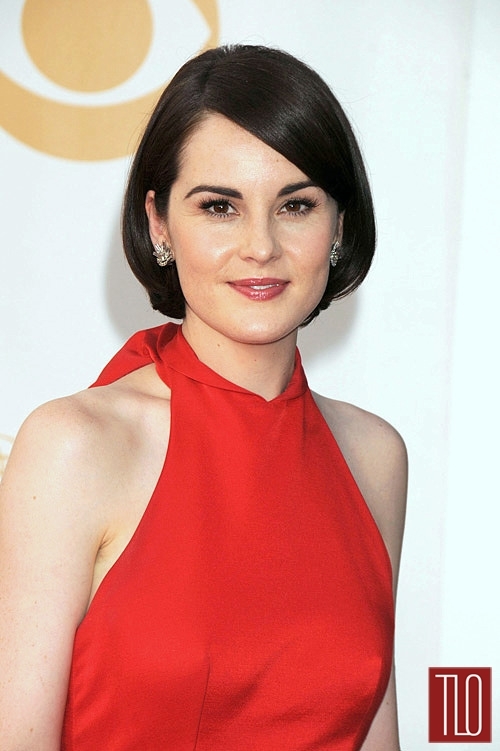 I literally typed out the words “achieving this look is easy when you break it down.” See that there?!? Thats a PERIOD. I WASN’T GOING TO ELABORATE. I read blogs, and I don’t mean to put anyone down because seriously, I love them all, but a blogger once said that all blogs are now just pinterest with words. It’s kinda true. Great. Green, white, black rooms. Good for me. I found a similar color pattern. Meanwhile BEHIND the scenes I’d be googling the morning away looking for all the furniture that could make up that room. THEN IT HIT ME: SHARE THAT PROCESS!!!!! …and if you take a looksee up top there’s an itty bitty link directly to all of these gems. Here’s what I’m thinking…. if you want me to put together a “Get the Pretty” for you, send me an email surroundedbypretty@gmail.com , send me a Pin, tweet, Facebook message, or smoke signal it to me. I’ll do them periodically frequently, and whenever they’re sent to me. Let’s get to it! Until then, let’s look at this adorable picture and mourn for the mudroom I dream of, but do not have. 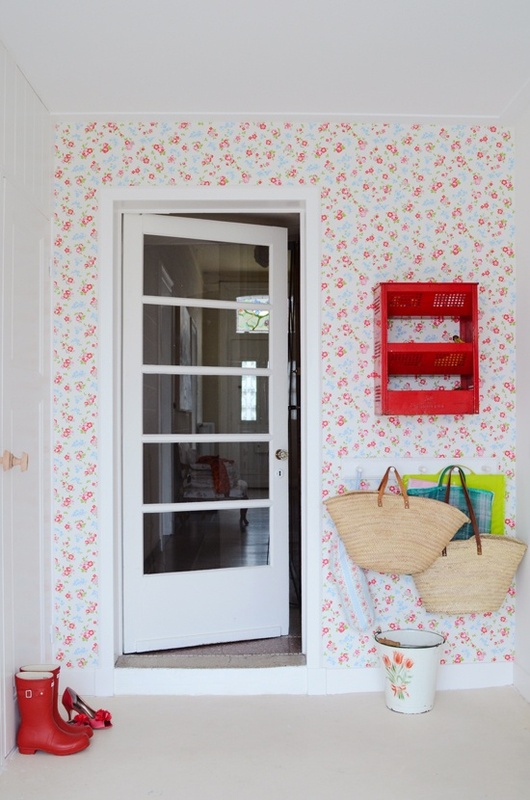 I’m not sure if its the granny in me that loves the florals, the pops of red, or that fab door. Hmmm, shall we? 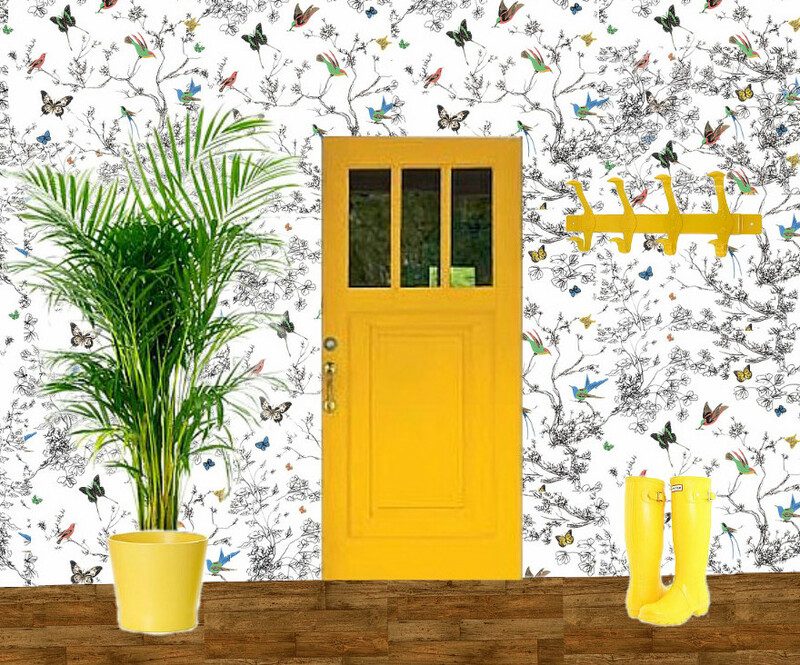 There’s a whooooole lotta DIY potential with this fun and bright mudroom. First of all we all know the boots steal the show. Second of all, I would prefer a coat rack, however the only yellow one I found was $250. Yeah, ok. Especially if you’re going to get all fancy like with the wallpaper. I say buy a regular ol’ coat rack and SPRAY PAINTTTTT!!!! Get the Pretty, this is (((insert your name here))). (((Insert your name here))), this is Get the Pretty. You’ll get along just fine. I can feel it. Ps: this is a two post day, stay tuned! I repeat, black, white, and green are my jam. I love the look. It’s unexpected and it’s fresh. IMO black, white, and red is overdone and harsh. Black, white, and yellow is bumble bee. 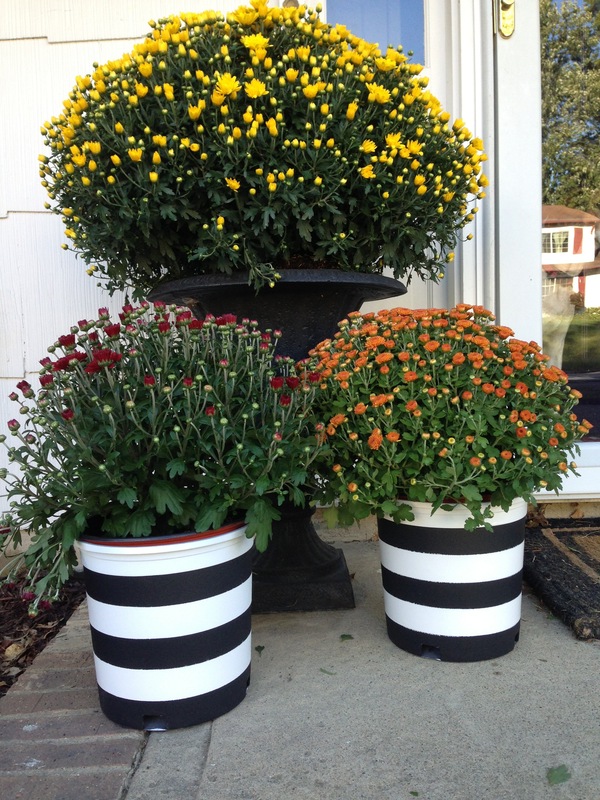 Black, white, and orange is seasonal. But black, white and green, love. Wanna take a lookie? YES PLEASE. 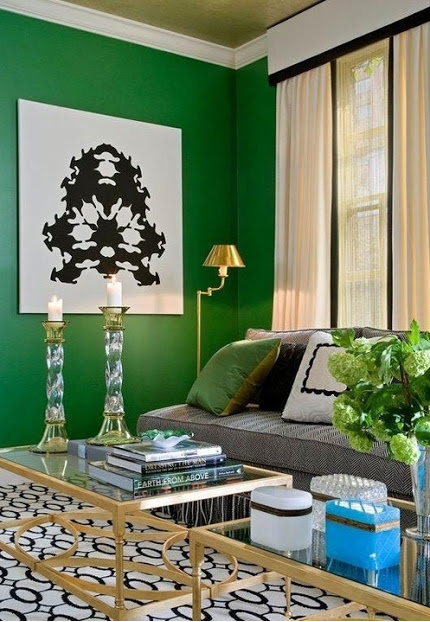 That pseudo Rorshach (psychology nerd alert) print on the wall gets my wheels turning, the mixture of bold with subtle prints, brass accents, delicious. Would I have the cajones to paint a wall that green? I dunno, but with the sharpness of all the other room elements, I think it’s possible. 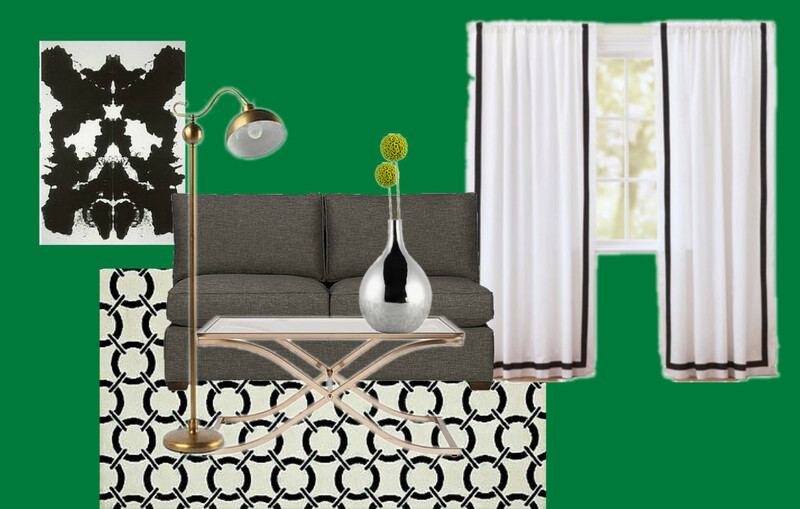 Just keeping the same theme (black, white, and brass) with the furniture and accessories this can be rocked so hard. I cannot even take this. 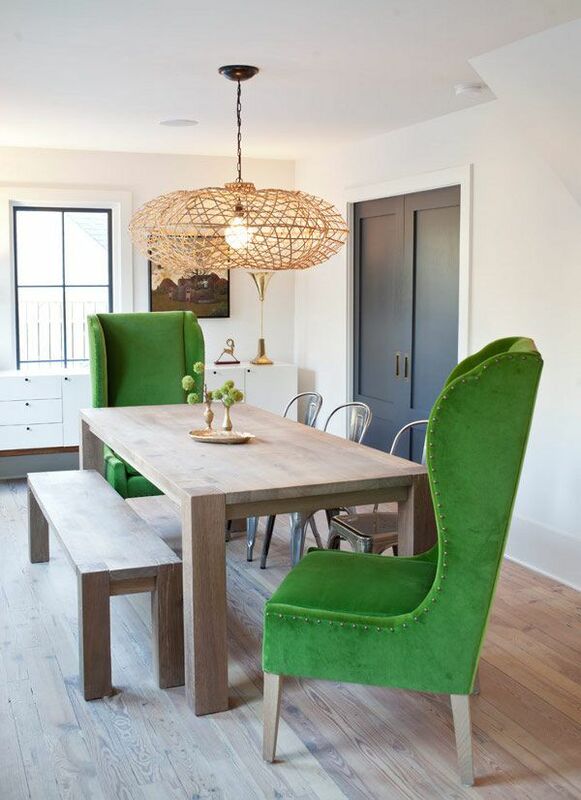 It’s very Scandanavian, so not my style… but I’d love it for a second home (ahem Design-Vox). While in the photo above the green was ballsy, I think white is ballsier. I mean how do I make it non-institutional? 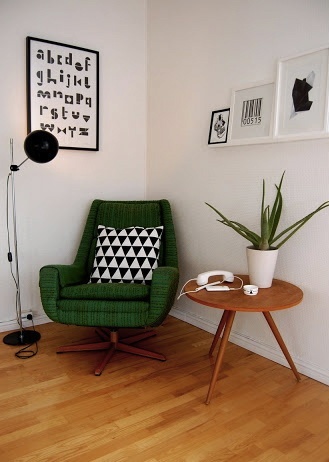 Oh there ya go, kickass green chair, geometric print pillow, etsy prints, a slammin light, and an aloe plant. Nailed. I wish I had this obsession WHILE I was decorating my house, that way I could have some inspo in my life (and perhaps some black, white, and green because there is NONE of that to be found in my house. Jaw dropped. Divine. These green wingbacks are delicious and I don’t care what you say. Honestly I think these suckers could be scored at Home Goods if luck is on your side. These could be easily replaced with any color and the whole thing would be smashing. 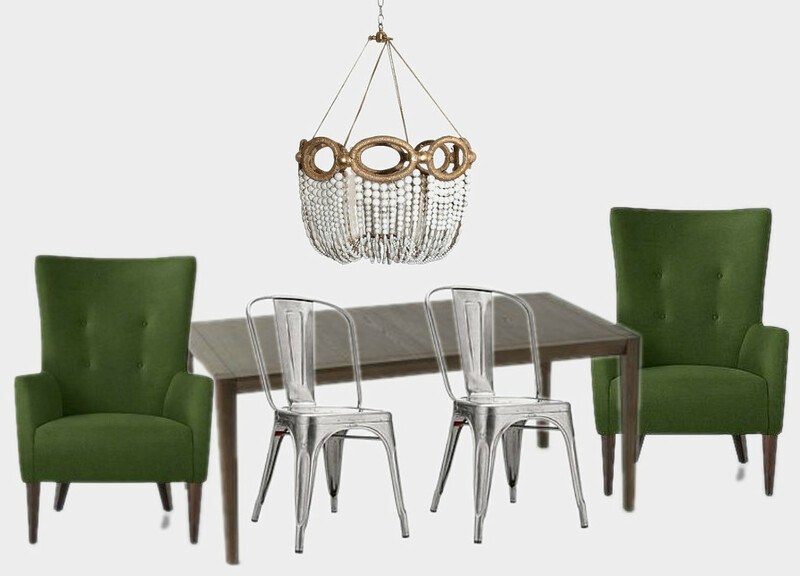 The natural wicker chandelier, mixed with the metal of the Xavier Pauchard Chairs, and the velvet delights makes life worth living. A simple farm table with a bench sassed up with all that zhush keeps me on team farm table. By the way, is it too much to ask for oversized black pocket doors? Wow, this one took awhile, but you’ve been neglected for awhile so I hope this was worth it. You liking “Get the Pretty”? It’s fun for me because it’s like fake shopping. 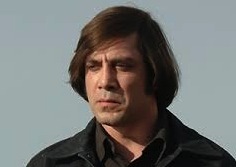 Perhaps….. you can help lil ol’ me out and send me some rooms you’re crushing and I can help you get the look. Yeah, that’s a good idea. To say this has been a stressful year (October 2012-October 2013) would be an understatement. To keep privacy private, trust me you’d agree. On the lighter side of the stress, school was crazinesss, work (was) hella draining, and the stuff I used to love doing, fell to the wayside: like cooking, up-keeping the house, and all other stereotypical lady things. Due to the stress and seasonal blues my vices have taken over: eating icky, lahziness, and shopping. Let’s just say, I’m none too pleased with my appearance or my overall mood. I have decided it’s time for a life change. Hubstats and I signed up for a gym, I’ve started walking the dogs as much as I used to, and cooking is happening again. Healthy cooking. 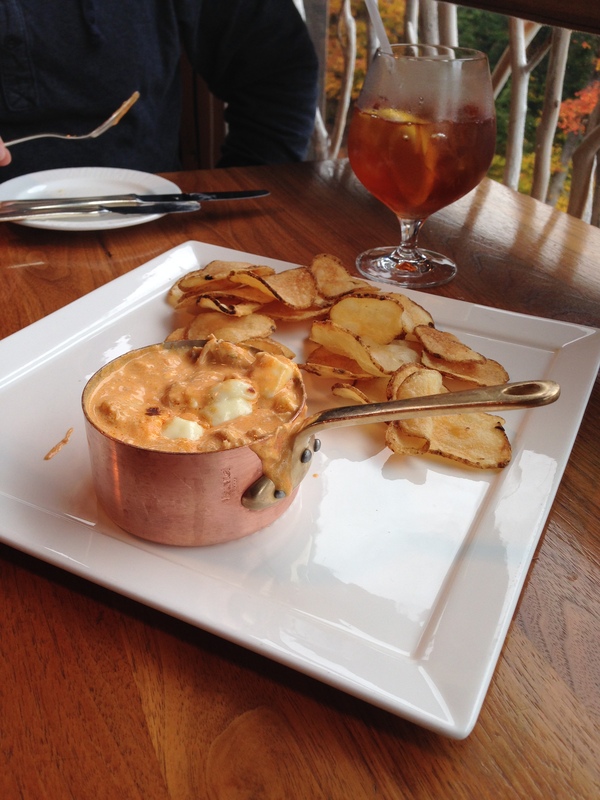 Specifically I found one blog, Amee’s Savory Dish. I’ve only made a few of the recipes, but so far they’re all good (and it’s a pretty good blog to top it off). I made this last night, so so so delicious. 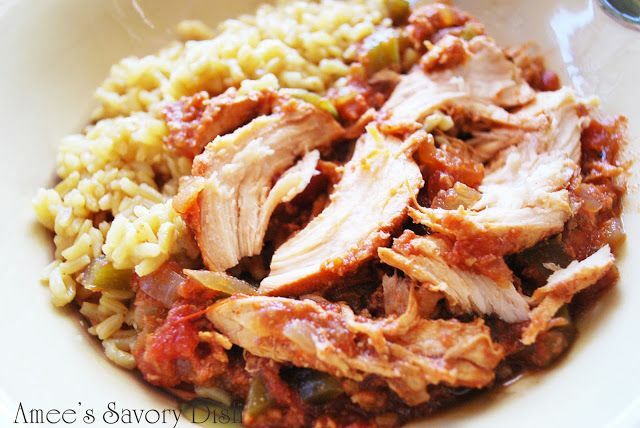 Sweet and Spicy Crockpot Chicken. The recipe says use Medium or Hot Salsa, use hot. So I know beef isn’t known for being healthy, but it was on this site, and it was really stinkin good. 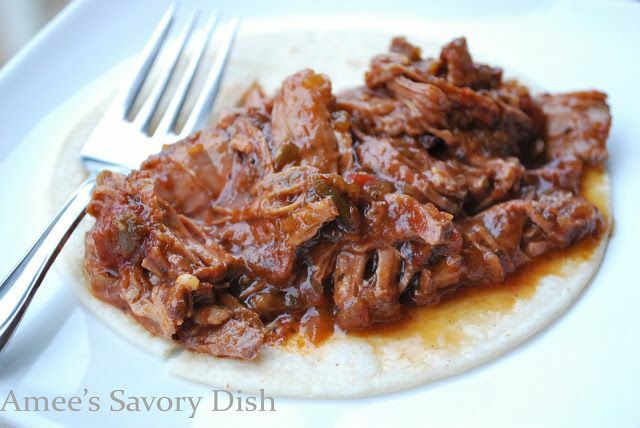 Crockpot Southwest Beef Roast, just eat it sparingly. 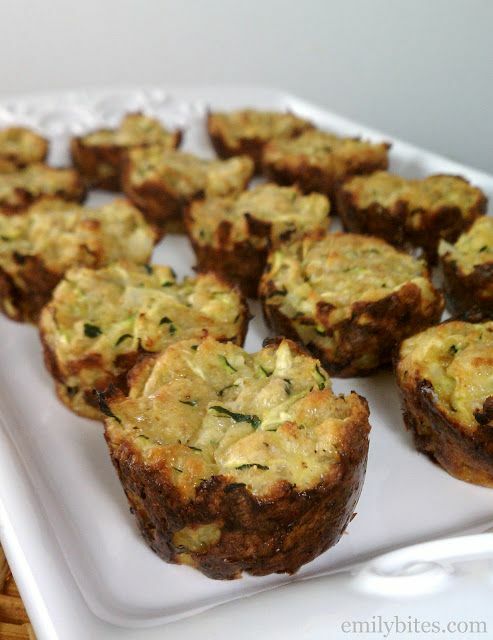 Zucchini tots. My mom used to save the left over bread crumbs and egg mixture from chicken cutlets and make what I used to call “breads”, not the healthiest, but these taste JUST LIKE IT! 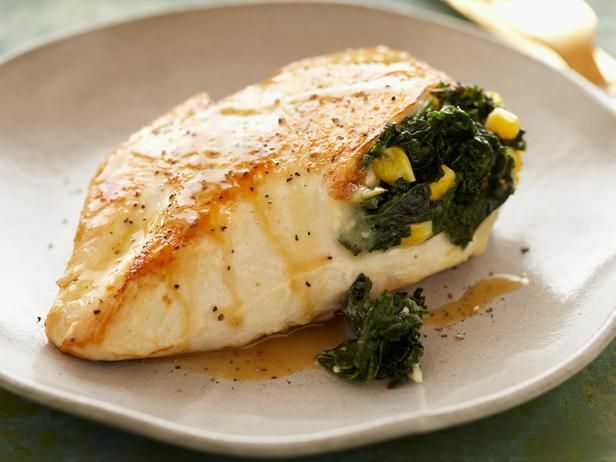 Spicy Kale and Corn Stuffed Chicken Breast, omgoodness, so goo. Making this tomorrow. 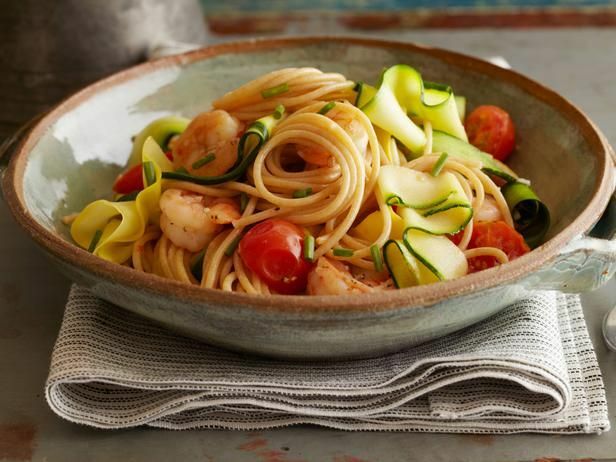 Ribbony Shrimp and Pasta Scampi, more of a summery meal, but it’s still delicious. I also took the plunge and tried whole wheat pasta, and it held it’s own. I’ve made this a few times (add some red pepper flakes, I love me some spicy). Ok, now I need your help. Does anyone have any good healthy eating/cooking blogs? Any snacks or ANYTHING? Let me know (sound off in the comments). For realsies people, I need to do this, and I love food too much to have a protein shake for dinner (but if you have a good protein shake recipe I could get down with that). I got some flack for the hideousness of the light. It’s true. It’s hid (as in hideous). 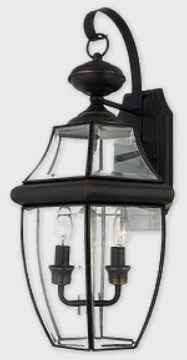 It’s the same as all of the bootleg lanterns as every other colonial style house on our street. COME ON! 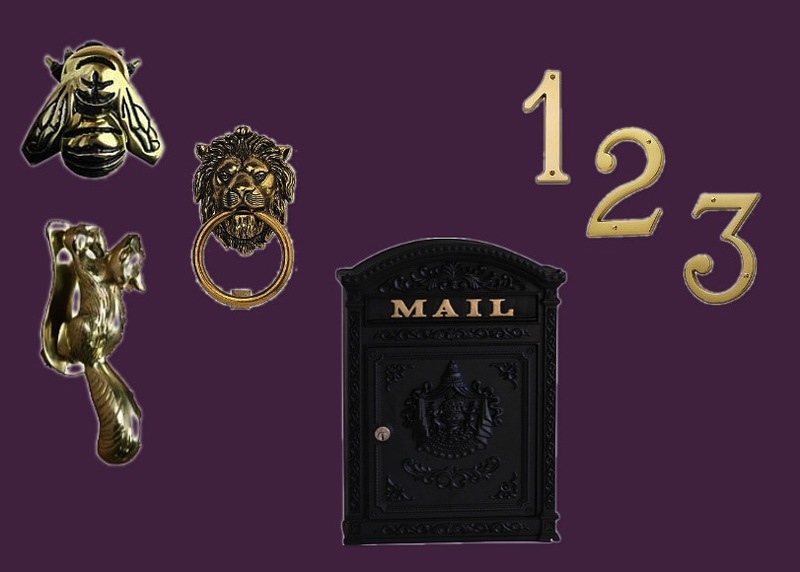 For someone who claims to have such awesome taste and style that I feel the need to blog about it, who do I think I am to have such a wretched exterior entrance. How dare me. 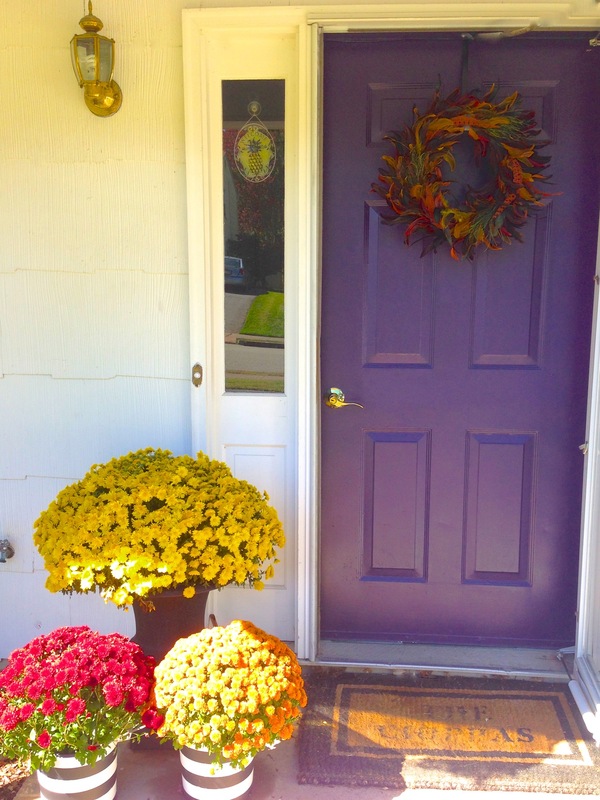 My front door is plum (hence the background color), but everything there is pricey. Too pricey on an intern’s budget. So we went to Lowes because we had to made such an exciting purchase (garage door – – – – – zzzzzz) and I took it upon myself to wander into the exterior lighting aisle. I walked there and LITERALLY said to myself “biggest light, lowest price” (bigger the better I say). Our original lantern was so teeny, it got lost. She ain’t fancy, but she gets the job done. It’s black (which is a different direction than the brass I originally wanted). It’s a very “Pottery Barn” type look, and I like it (compared to $219, I’ll take it!). It’s almost double the size of the original excuse for an exterior light. Our Mailbox was DIS-GUH-STING. DISGUSTING. Since I went for the black light, I obviously had to change everything else to black. Which was fine. As I said, I had zero game plan going into this. While hub-stat was ordering the garage door (zzzzzzzz) I wandered and just let it flow. Lowes didn’t have a simple black mailbox that didn’t require a key so I ended up getting this one at Home Depot (it looks like a scary lock box, it’s not, you’ll see). And sticking with the black accessories, I obviously had to get black numbers (sassy right?). So…. better? (Let’s look beyond the bootleg iPhone pics) It doesn’t look worse, it cleans it up, and it was all under $100! 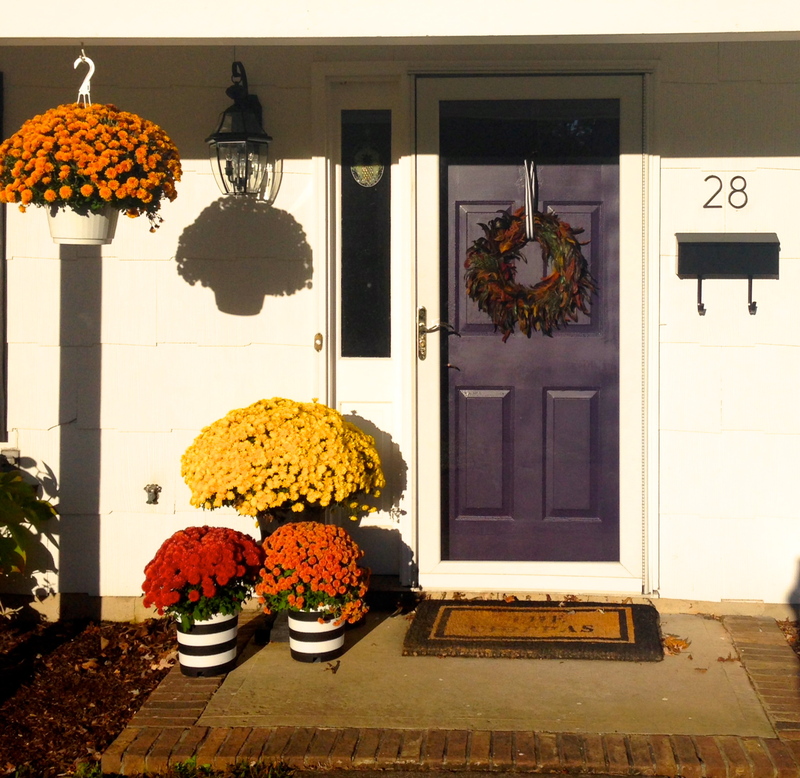 Last year we painted the door (it was an ick forest green), so including the plum paint it was only around $120! I need antlers, and I need them now. 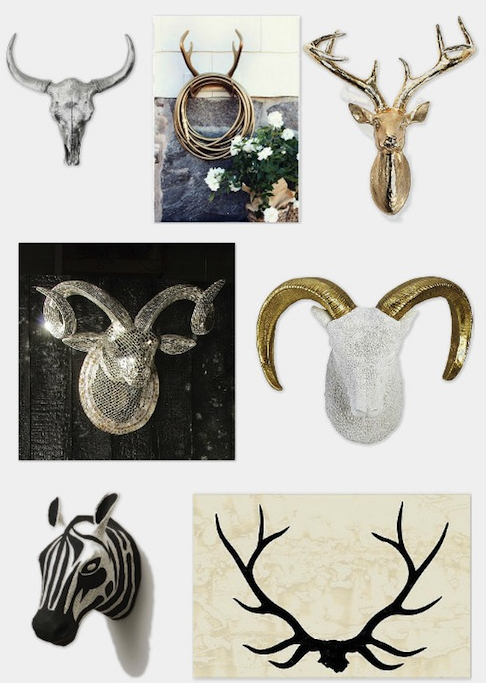 I have been drooling over images with antlers on the walls, on the bookshelves, in the room. Antlers are so fetch right now, and I need in on the action. I’m sure after looking at antlers on our recent trip for 4 days straight didn’t help. HOWEVER those antlers were rustic, I’m talking masculine-chic. Makes no sense huh? “masculine-chic”, well I’m coining it, you can use it, I want it to be a household word. 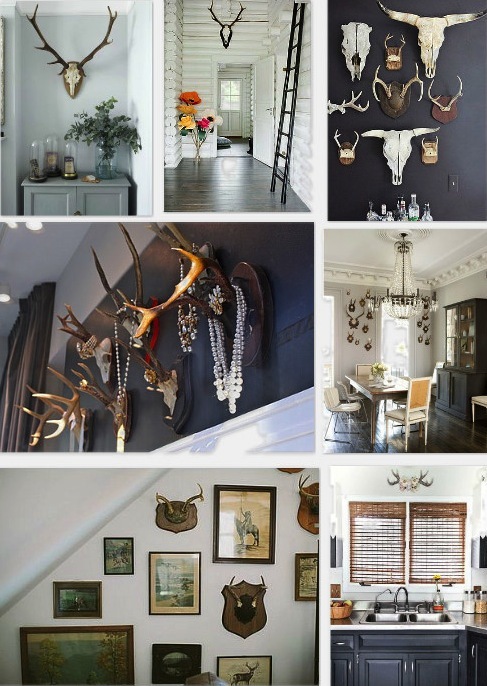 If you’re picturing a cabin with scary antlers over a TV with an antenna you’re wrong, DEAD WRONG, antlers can be so masculine-chic. Let’s take a looksee. Fauxidermy. I did not coin this term….. (it’s pretty awesome, I wish i did). If your sketched out by antlers on your walls, consider fauxidermy. If you would’ve asked me a year ago I would’ve done pretty much anything to get my hands on that Glam Ram up there (disco ball ram head), however, I feel like I’m getting simpler in my old age and am siding more with the more natural look. I do have #7 up there (not currently for sale on One Kings Lane, but I’ve seen it a few times). How ’bout it? You itchin’ for antlers on your walls? 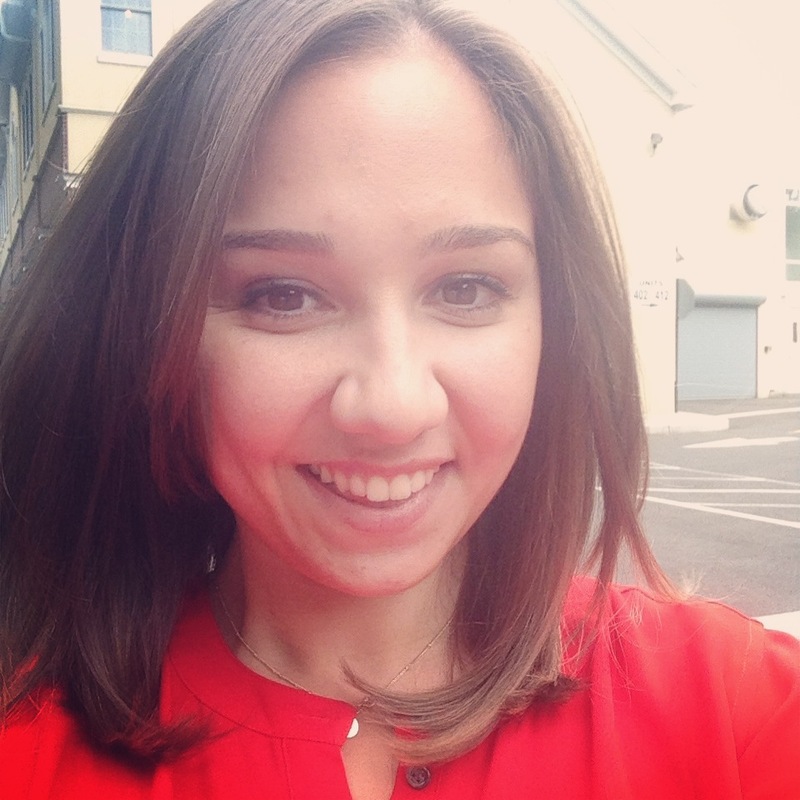 If you are an avid Surrounded by Pretty reader (which I know you are), you were aware of my hair plight and how I wanted to chop chop chop ‘er off. Well I didn’t….I kinda did…. I’M FREEEEEEEE……. or am I? There I am (above) all happy that it’ll take me zero time compared to when I was Rapunzel. I even went as far as washing it less than 24 hours later to experience the joy of less than one hour of blow dry time. I was wrong. Wrong as rain. It was horrible. When I was done I swear I looked like a Beatle (even though my very kind husband and friends disagreed). The layers were flipped and not curled, it was hitting off my shoulder and let’s just say, it looked nothing like the photo above. I was crushed. 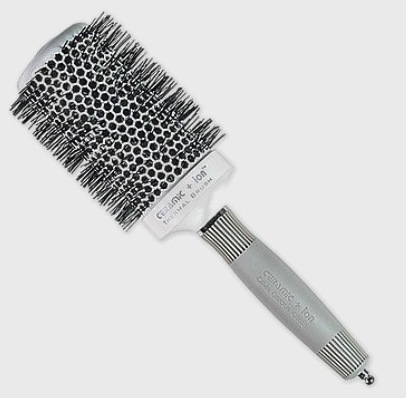 Buy this brush NOW!!! Best brush ever ever ever. My blow dry time went from an hour (already dry) to 20 minutes, DAMP! It looks just as good as when I got it done! I don’t have many beauty pointers to share, so when I do share one, it’s gotta be good. Any of y’all have any more simple hair pointers for this ol’ gal? Strip me of my Leibster! I am the worst blogger ever!!!!! Ok no, I’m not, but life has finally caught up. Long gone are the days of me sitting around with nothing to do but obsess over Surrounded By Pretty. Fortunately, I am one happy lady. Love love loving interning, school isn’t nearly as stressful, and I think year 2 of marriage is when you really start to like your spouse (year 1 i just loved him) – – – I’m partially joking. Being that we like each other now, we decided it was in our best interest to go away (KIDDING). It was really for my main man’s birthday, but in all honesty, we needed to GET OUT! We didn’t want to take any risks though, we wanted to go away to a place we knew we loved without much fuss or planning. It was pretty simple, Mirror Lake Inn, Lake Placid, New York. Our first year of dating we went to this luxurious resort and we needed to get back. We threw all responsibilities aside and booked a lake cottage room. It was nothing short of spectacular. I recommend EVERYONE in the tri-state area to get there. It’s magic. 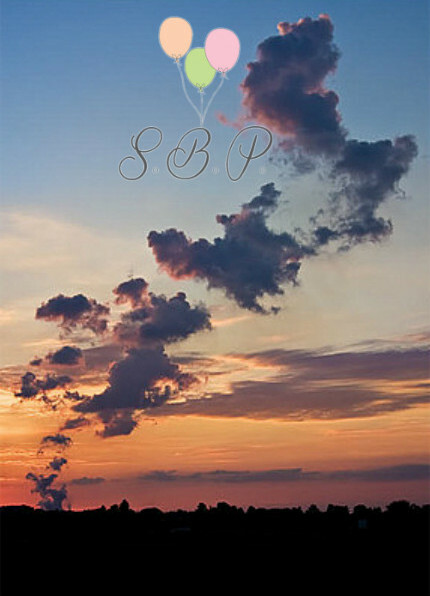 Those are my personal (unprofessional) photos, so yes, that is what it really looks like. It’s cozy and rustic and the entire time we were there we spoke of our future plans of getting a vacation home around here (as I went into every home decor and furnishing store to get some decoration inspiration). 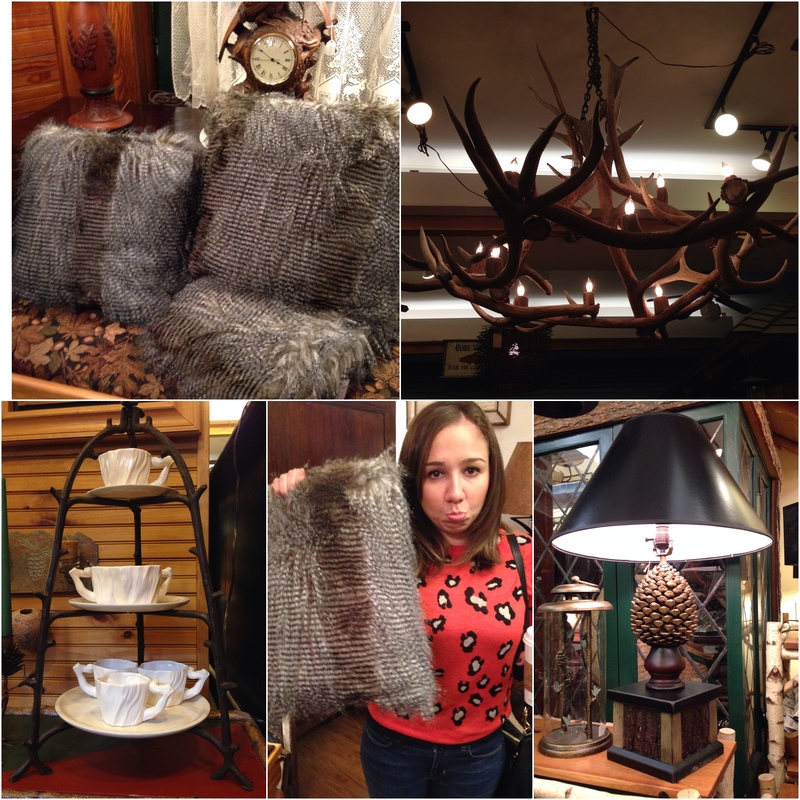 That sad face is because I wasn’t allowed to purchase those fab faux fur throw pillows. 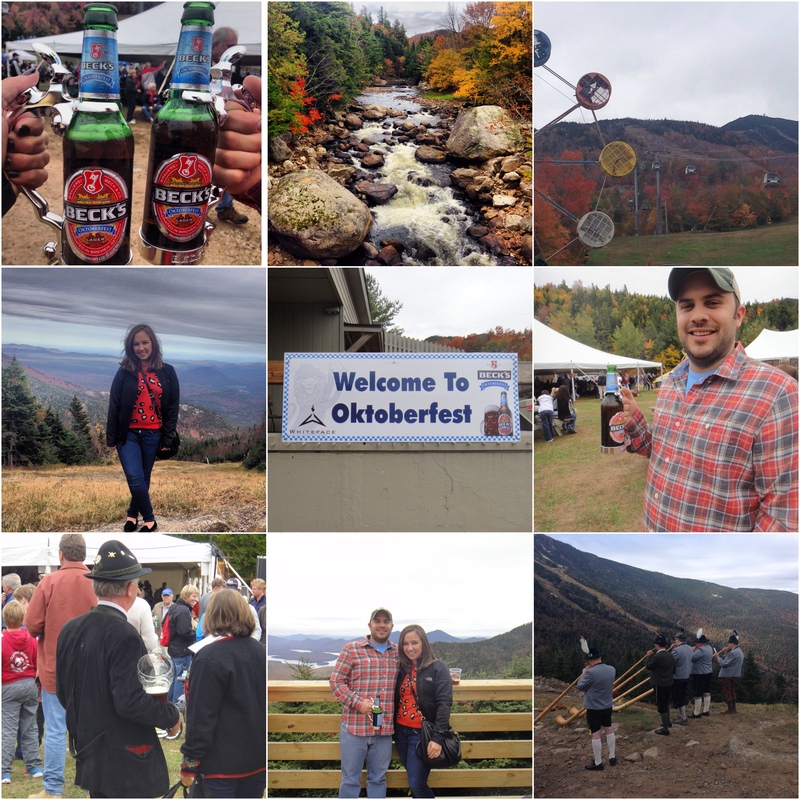 We took advantage of the fall activities and went to the Whiteface Mountain Oktoberfest. It was stunning. We took the gondola up to on of the summits of the mountain where awesome men in leiderhosen played glorious sounds from alphorns. 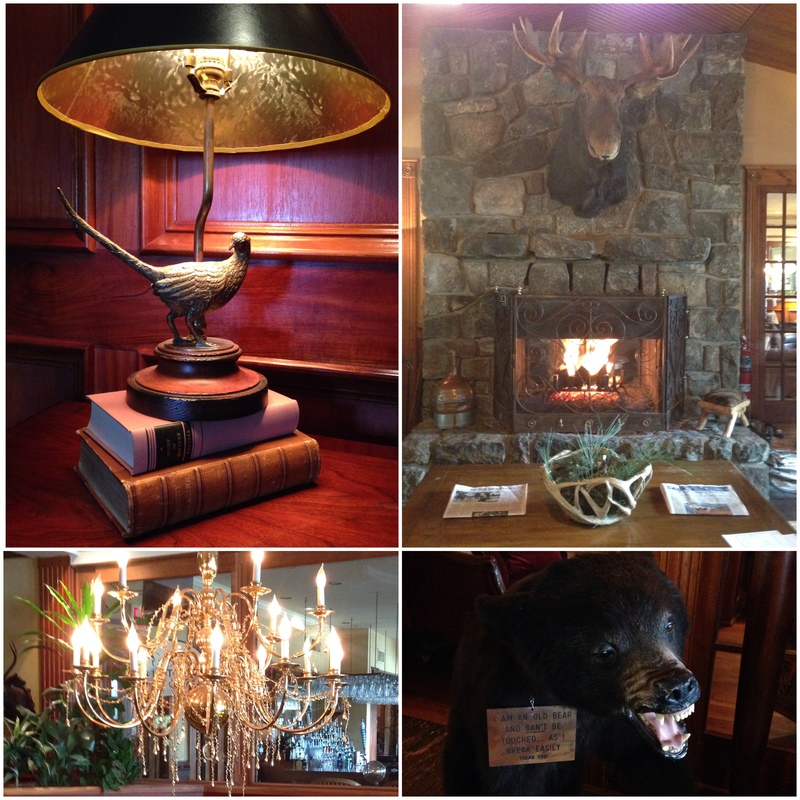 Don’t think for one second we didn’t gorge ourselves with Lake Placid cuisine….. 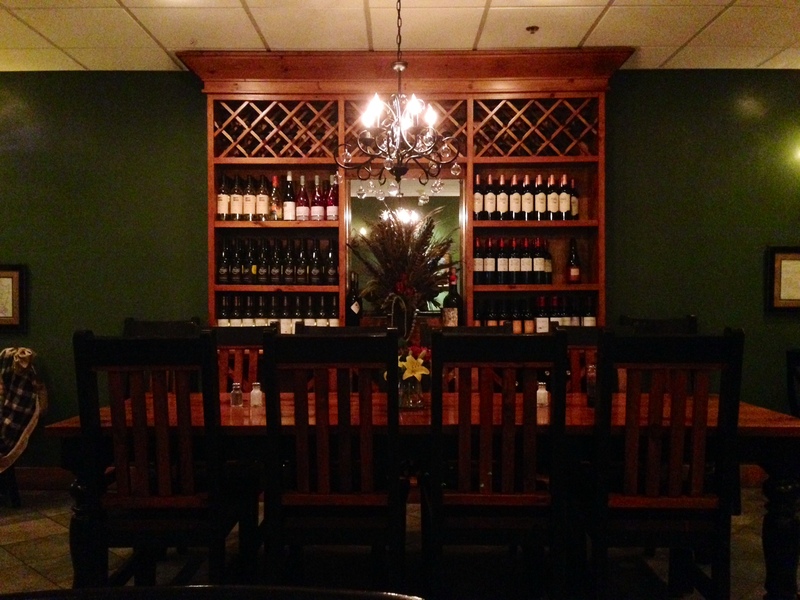 Lunch: The Brown Dog Cafe and Wine Bar. It was good enough, nothing to write home about. Dinner: Caffe Rustica (deeeeelishhhh) Hub doesn’t usually go for Italian, but he was having a hankering and there is zero way I’ll turn down pasta. Dinner: Liquids & Solids. This restaurant had the highest YELP reviews. When we got there we soon realized this wasn’t really our “style”, but we decided we were there, and we were going to go for it. I ended up having the most delicious (well the only) fried busslesprouts. Mike ordered french onion soup we both agreed was too “rich”, too much wine. I ordered, ate, and enjoyed….. BEEF HEART (I kept saying “bee fart” in my head, haha). I was scared, but it was yum. Mike was eh about the braised pork belly, and he left hungry. Breakfast: Bluesberry Bakery. I didn’t love that I had to heat up my own croussaint, but it was friggin delish, and worth each and every stellar review received on YELP. 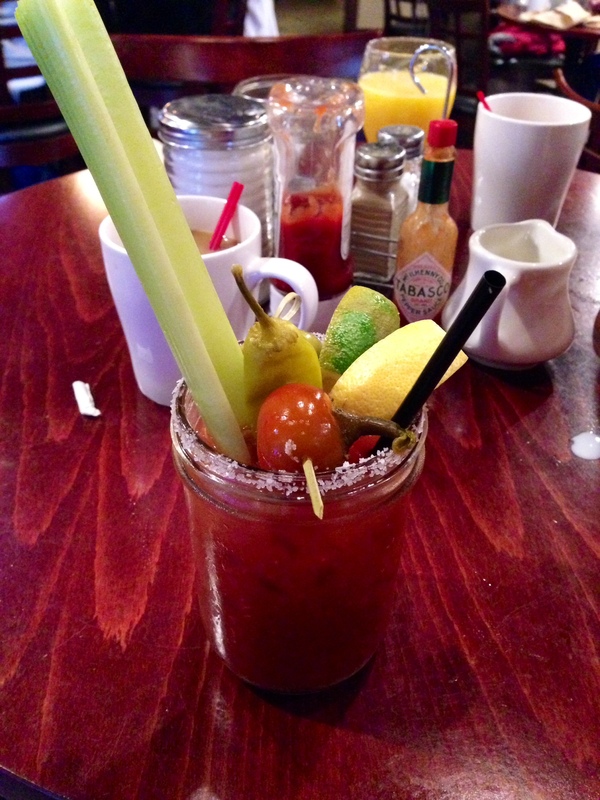 Lunch: Bestill my heart……… MAGGIE’S PUB……….. calling it a “pub” did this eatery a disservice. I cannot even believe how delicious this was. We started off with Buffalo chicken dip and each ordered a turkey club. And yes, those things were that delicious. The atmosphere really added to it though. 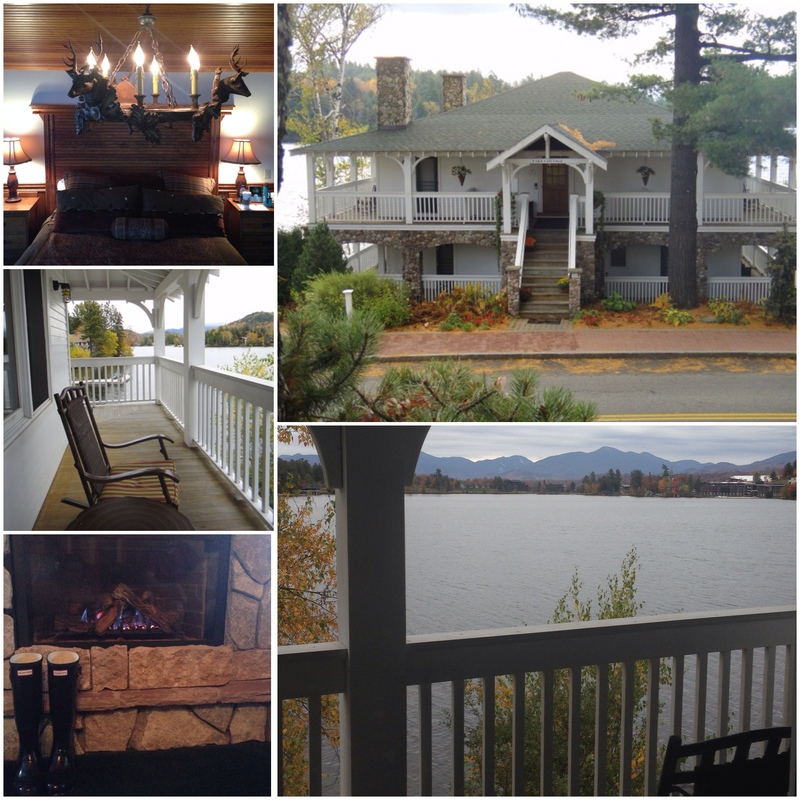 It was overlooking Lake Placid, a HUGE fireplace, each seat had a little blanket on it (because it was a bit chilly), and the wait staff was sweet and attentive. Dinner: we needed steak, Great Adirondack Steak and Seafood. It was steak, nothing fancy, but we needed nothing fancy. Breakfast: Big Mountain Deli and Creperie. This place had a line out the door every day, we stopped by quick to pick up breakfast sandwiches for our long drive home and regretted not going there sooner (also, best chocolate chip cookie ever). Lake Placid Boat Tour. 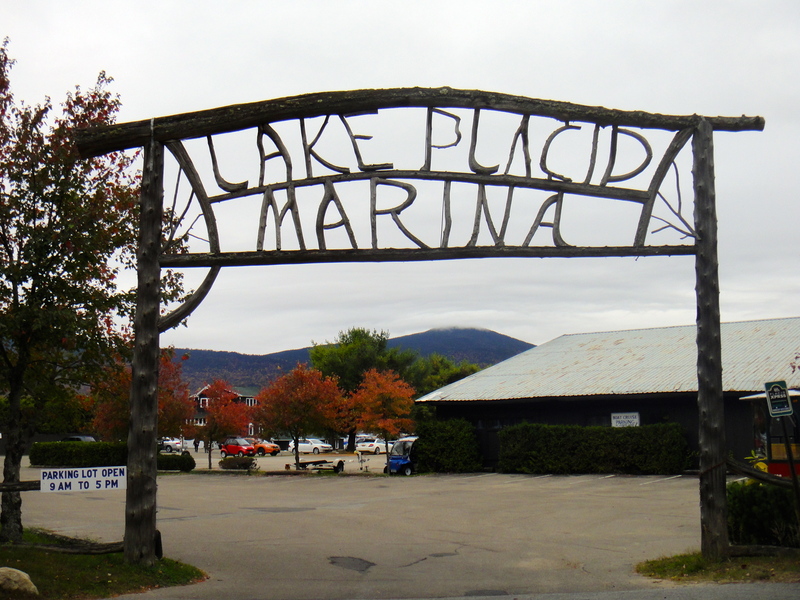 My mother and father in law LOVE Lake Placid. We decided to ask them for some recommendations and this seemed to be their favorite, it was ours too. 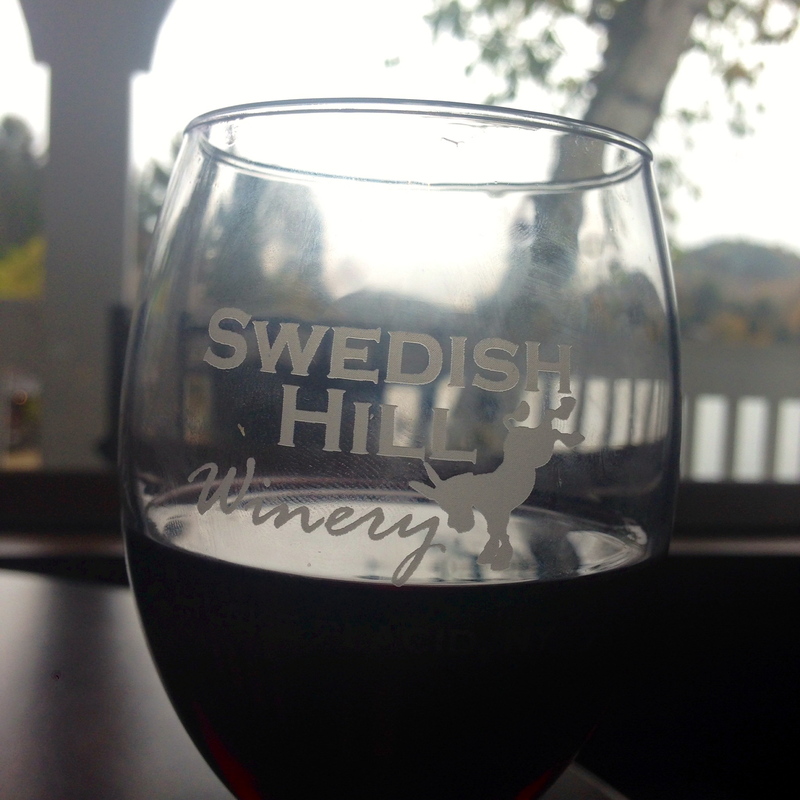 Swedish Hill Winery Tasting. This was quick, but it was fun. We bought a few (or 4) bottles of wine, some fancy cheese, and enjoyed our goodies by the fire. Walk Main Street. It’s super cute, super rustic, and there’s candy. If you do go in the winter GO BOBSLEDDING!!! Welp, I hope you missed me tons because I missed you! I get pretty festive around this time of year, then it fizzles out around… well, I don’t know, it’s been becoming less and less every year. But when I feel blue, super ‘cited, or crave change I really have at it. This weekend was a combo between craving change and having some super cute frands over for cocktails and appies, well I didn’t KNOW that was going to happen, that was just an added bonus that after my Autumn sprucing and bouquet arranging that we decided to get all snuggly before a night out. Enough blabbing and lemme put up proof of how cute my added touches are…. The other day I mentioned that the glass kept breaking while I was DIYing a cheap-o frame. Well, while I was wandering around the store I found this faboosh wreath. But here’s the deal, I thought it was just meh, but I had time to kill and a 40% off coupon to Michaels, so I threw ‘er in the cart. When I placed it on the door I was all like WHOAAAA NELLYYYY!!! 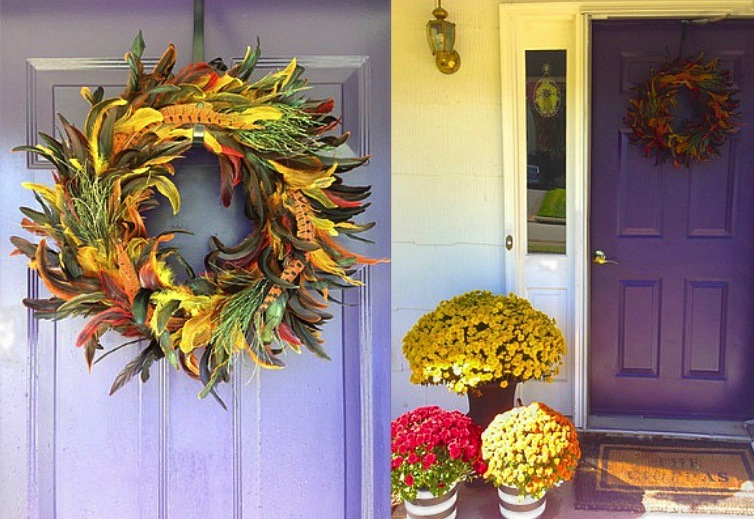 You may remember these gems from a successful DIY that did NOT require multiple trips. 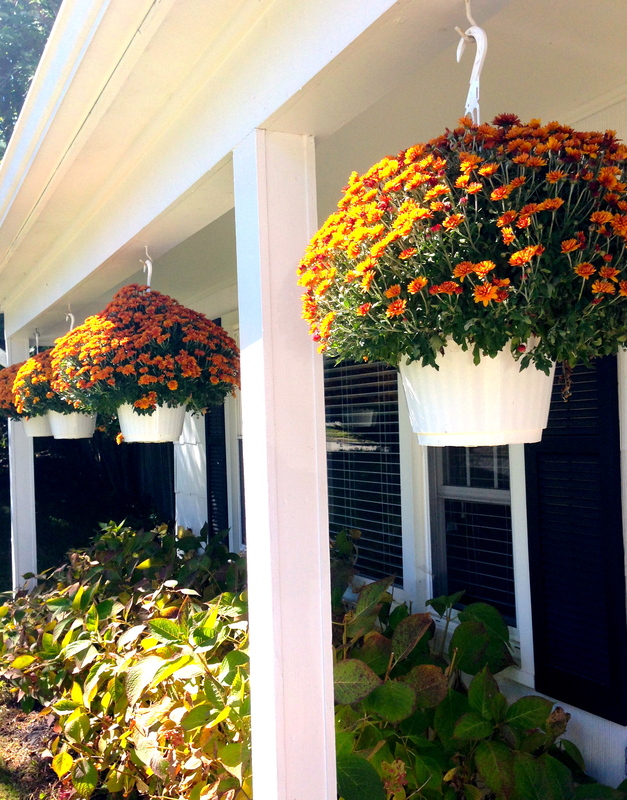 Speaking of mumsies…….The peeps who lived in the house before us had these hooks up, I would’ve thought NOTHING of them until my momma hung some flowers for us upon our move-in day. 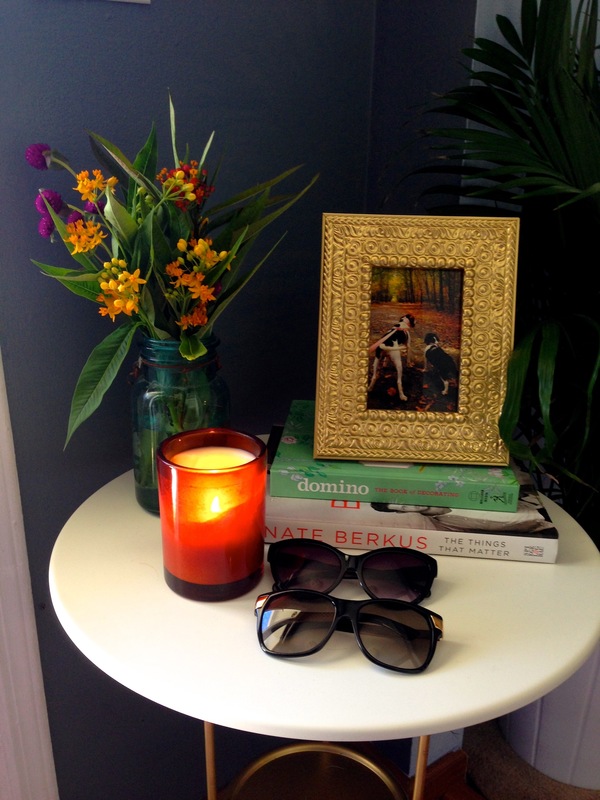 Here lies another stressless and successful DIY using a $20.00 Ikea end table. M’lady friend suggests piling design books, so I’m tryna build a collection and sneaking them in with school book purchases. I had an amazing grocery store flower run and dispersed these fab wildflowers throughout the house. 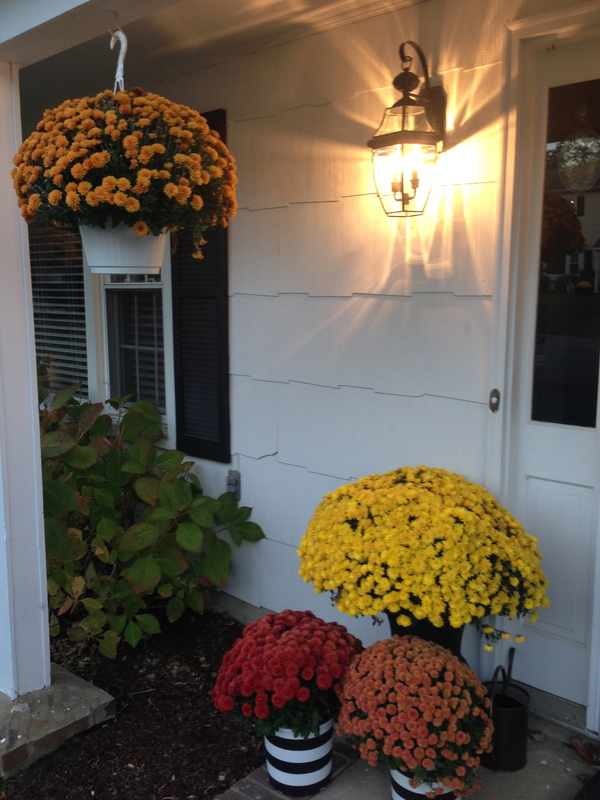 As I just said, an AMAZING grocery store flower find (I posted about grocery store flower arrangements a while back), but these were kind of the inspiration to festive-ize the casa. 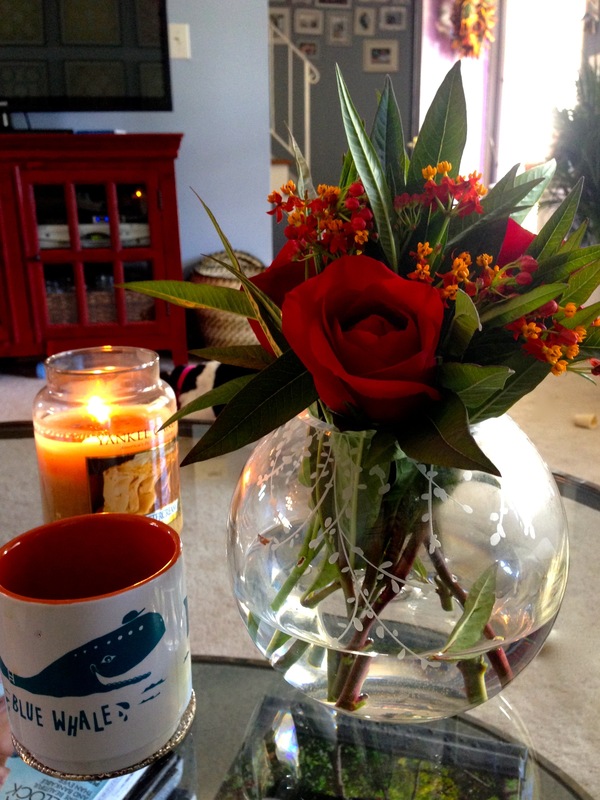 Sipping my coffee with my Yankee Candle Pumpkin Buttercream burning inspired this post (best scent ever FYI). I may or may not have found my way into Target where I may or may not have picked up this Nate Berkus tray (wow, on sale!) 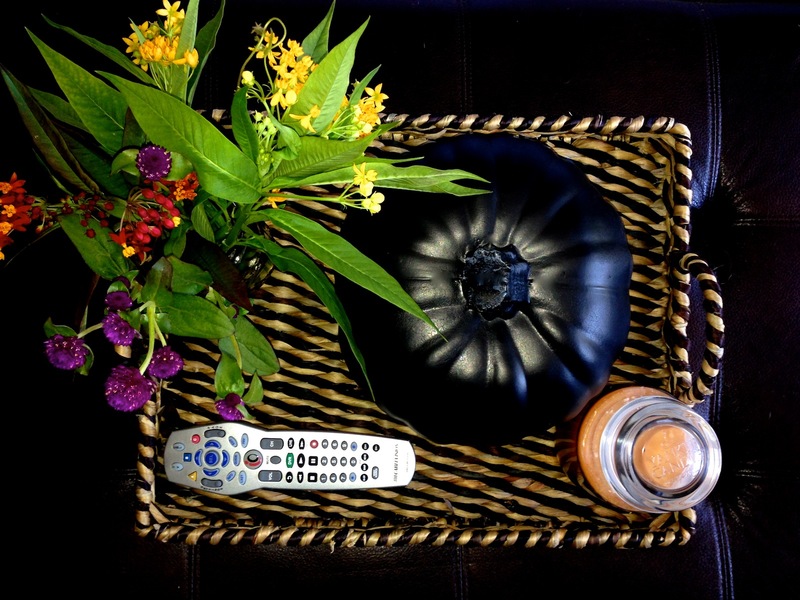 and super cute black craft pumpkin. I don’t plan on crafting it, I don’t want to push my DIY luck and I think it’s hella cute as it is. That’s all I got for now, there’s a few other things sneaking around but you get the point, it’s awesome and you wish you could frolic around here. That’s ok, I do too…. because I’m never freakin’ home.